Excess body weight results in significant loss of the quality of life. Pathological obesity takes threatening forms worldwide because of inevitable co-existing serious diseases development. The most severe of these diseases are hypertension, diabetes, reproductive dysfunction, leg joints diseases, dyslipidemia (elevated level of cholesterol and blood triglyceride), varicose veins of lower limbs, sleep hypoventilation syndrome (sleep apnea), fatty liver dystrophy (hepatosis), chronic calculous cholecystitis, and chronic pancreatitis. The growth of the number of people suffering from overweight is reported not only in the industrialized developed countries, but also in the emerging nations. Most of the experts relate this phenomenon to intense urbanization and modernization processes accompanied by the general decrease of human physical activity, as well as adoption of the elements of «western lifestyle» by the population of the developing countries (in particular, the consumption of large quantities of high-caloric food rich in protein and carbs, the so-called «fast-food» is becoming normal). The most common methods of weight loss are physical activity, dieting, nutritional supplements, medication. But the last hope for the people suffering from serious («morbid») forms of obesity is surgery. Obesity surgery is called «Bariatric surgery» (from the Greek baros- weight, iatrike — medicine) in academic literature. The most widely spread method of surgical obesity treatment is the procedure of gastric balloon placement. The popularity of this procedure is determined by its low invasiveness, atraumatic course and high efficiency. Intragastric balloon is a relatively new medical device intended for effective body mass loss. It has become widely known during the recent years. It is used for obesity treatment and intended for the patient’s weight loss by means of partial filling of the stomach and, as a result, the absence of hunger. 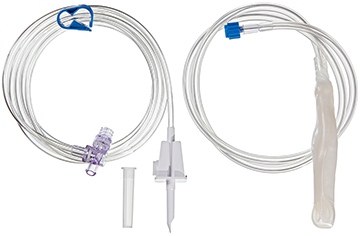 The set consists of a collapsed silicone balloon with a check valve, a silicone probe for the balloon placement with a silicone sheath, a metal guide wire for increased rigidity, a PVC tube for liquid transfusion. Intragastric balloon is a spherical shell made of durable silicone with a check-valve attached to its wall, and a system of tubes for saline solution transfusion. The collapsed balloon is placed inside the stomach as a gastric probe, without any liquid inside. In the process of the balloon inflation with saline solution, the balloon becomes sphere-shaped. According to the initial volume of stomach, the size of the inflated balloon varies from 400 to 700 cc. When inside the stomach, the balloon fills the stomach excess capacity. Consequently, less food is needed to induce the reaction of receptors sending signals about the stomach filling. Thus, the patient feels satiety earlier than usual. With the course of time, the patient works out the habit to consume less food. Then the patient accustoms himself to the new diet and nutrition regime which is maintained for a long period after the balloon removal. The patient suffers from nausea, stomach overfilling, discomfort in the epigastrium area during the first several days after the balloon placement. But normally, within 7-14 days after intragastric balloon placement procedure, the patient almost doesn’t make notice of the device and lives the normal life style. The balloon is placed temporarily. The balloon can stay in the stomach for maximum 6 months and should be removed afterwards. The decision to use the balloon is made by a physician on the basis of the data obtained as a result of the total examination of a patient suffering from obesity. The balloon can be placed into the stomach of patients whose body mass index (BMI) is 30-40 kg/m2. Patients whose BMI is more than 40 kg/m2 can be treated with the balloon for the purpose of preparation for the surgery. • Any inflammatory disease of the gastrointestinal tract including esophagitis, gastric ulceration, duodenal ulceration, Crohn’s disease. • Esophageal or gastric varices, telangiectasis. • It is not recommended to use the device for patients with low discipline unwilling to participate in an established diet and behavior modification program, with medical follow-up at least once every two weeks. • The balloon should be filled in stomach by liquid, not by air. Liquid-filled balloon intensifies the feeling of satiety. • The intragastric balloon should be made of durable materials and exclude leakages. 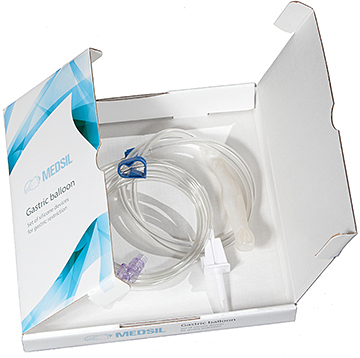 The closest analogue of the present device design is Bioenterics Gastric Balloon (BIB) produced by Inamed/Allergan Corporation (USA). Nevertheless, some devices available on the market have a number of disadvantages. First of all, the balloon material is hardly tolerated by some of the patients, up to complete rejection, i.e. the silicone compound used for the balloon production is not biocompatible enough. Secondly, the cases of the balloon wall and the valve damage have been reported which resulted in the balloon deflation and subsequent removal. Intragastric balloon has become a very popular method of obesity treatment in Russia due to its simplicity and accessibility. The first Russian studies on the balloon application were published in 2003. At the same period the R&D work on the silicone compound for gastric balloon manufacturing was started by CSC «MedSil» technologists. This compound was designed to overcome the disadvantages of the foreign devices material. Simultaneously, the design of the new generation valve was launched by the engineering department, because of the fact that the valves of intragastric balloons had low leakage resistance. As a result, a new type of two-stack valve was invented and patented. Unlike the existing analogues, it was highly reliable. In 2004 the first prototype models of the set were created, and in 2005 the set passed through the clinical trials successfully. 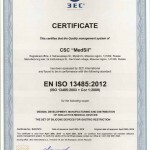 The medical and technical features of the device produced by CSC «MedSil» are not inferior to the foreign analogues. More than that, the device excels them at biocompability of the silicone compound used and consequently is better tolerated by the patients. Besides, the price of the device is much lower comparing to the products of the competitors. 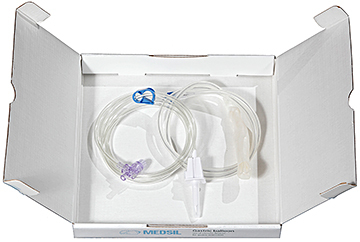 These factors let the device occupy a considerable room in the Russian market of medical disposables, and in 2008 CSC «MedSil» started export sales of the product (Mexico and Latin America). Afterwards, the device was presented in the countries of the Middle East (Iran, Egypt, UAE, Saudi Arabia, Iraq, etc) and the European Union. Positive reviews of physicians and numerous orders were obtained. 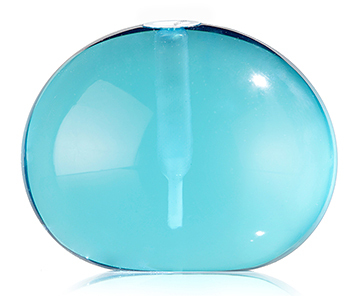 «MedSil» intragastric balloon has passed through the procedure of mandatory and voluntary GOST R certification. The device is approved for use throughout the territory of the Russian Federation and included in the National register of medical devices and equipment. The product has Registration certificate issued by the Federal Service for Supervision in the sphere of Health Care and Social Development of the Ministry of Health Care and Social Development of Russia. The company has adopted the Declaration of Conformity issued by an accredited certification authority — Certification agency for medical devices of polymeric materials and glass limited liability company «MEDPOLYMER-S». «MedSil» intragastric balloon has passed toxicology test in the Testing Laboratory Center FGU NII FHM of the Federal Service for Supervision in the sphere of Health Care and Social Development. 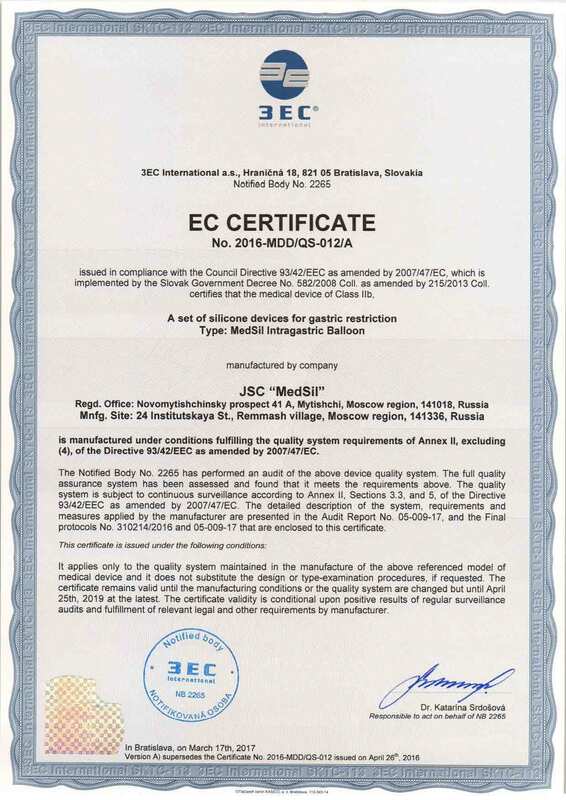 In March 2017, certification audit of the factory was performed by Notified Body 3ЕС (№2265, the Slovak Republic). 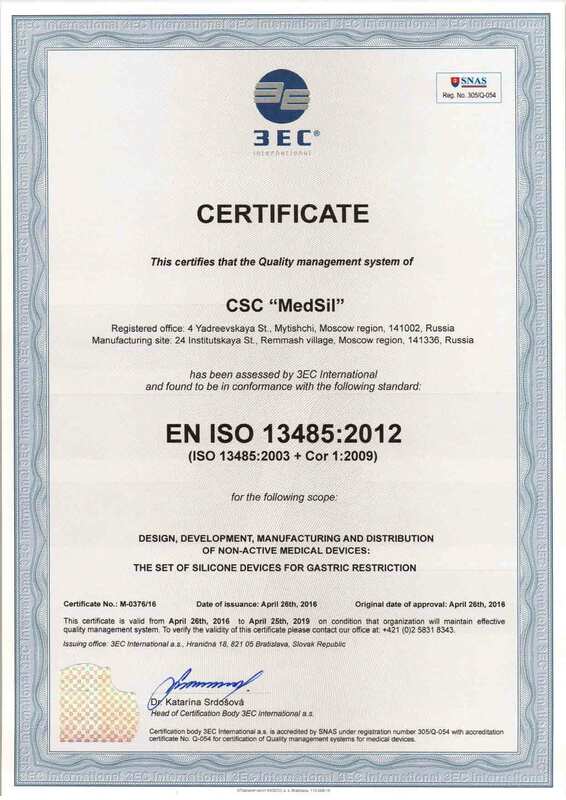 As a result of the audit, the conformity of the quality control system of CSC “MedSil” for design, development and distribution of non-0active medical devices “The set of silicone devices for gastric restriction” to the requirements of International standard EN ISO 13485:2012 was confirmed. The experts of the Notified body found that medical device “The set of silicone devices for gastric restriction” is manufactured according to the requirements of 93/42/ЕЕС Directive. 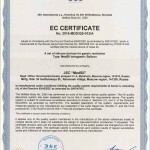 Certificates were issued which authorize “MedSil” to mark the product with CE sign and distribute it on the territory of the European Union. The guaranteed shelf life of the device is 24 months. The balloon should be implanted within this period. The guaranteed period of the balloon stay in stomach is 6 months since the date of implantation. — the damage of the device has occurred during the implantation procedure performed by untrained specialists or as a result of violation of the requirements stated in the Operation manual. 1 Have you had problems using our devices? 2 Are you satisfied with the time of delivery? Choose from 1 to 5, where 1 – absolutely unsatisfied; 5 – absolutely satisfied. 3 Are you satisfied with the quality of our devices? Choose from 1 to 5, where 1 – absolutely unsatisfied; 5 – absolutely satisfied. 4 Estimate the convenience of work with our devices, choose from 1 to 5, where 1 – absolutely inconvenient; 5 – absolutely convenient. If your answer is less than 5 – leave comments. 5 Estimate the effectiveness of our devices? choose from 1 to 5, where 1 – treatment is ineffective and/or associated with big difficulties; 5 – absolutely effective, no problems detected. If your answer is less than 5 – provide comments. 6 Based on the patients’ feedback estimate treatment with the use of our devices? choose from 1 to 5, where 1 – very unpleasant; 5 – causes no discomfort. If your answer is less than 5 – provide comments. Leave your additional comments on the above questions or other issues.